Jawaharlal Nehru National Urban Renewal Mission (JnNURM) is a massive city-modernisation scheme launched by the Government of India under Ministry of Urban Development. It envisages a total investment of over $20 billion over seven years. JnNURM is a huge mission which relates primarily to development in the context of urban conglomerates focusing to the Indian cities. 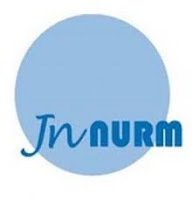 JnNURM aims at creating ‘economically productive, efficient, equitable and responsive Cities’ by a strategy of upgrading the social and economic infrastructure in cities, provision of Basic Services to Urban Poor (BSUP) and wide-ranging urban sector reforms to strengthen municipal governance in accordance with the 74th Constitutional Amendment Act, 1992. JnNURM in Rajasthan: Under Jawaharlal Nehru National Urban Renewal Mission (JnNURM), Two cities viz. Jaipur and Ajmer-Pushkar of Rajasthan have been covered. The total 7 years allocation (2005-12) for Rajasthan under UIG is Rs.598.69 crore. There are 12 projects approved for the two Mission cities in Rajasthan for a total cost of Rs.968.73 crore. The Central share committed the 12 projects is Rs.598.40 crore against which Rs.308.87 crore has been released up to January, 2009. Planning Commission has provided that all Mission cities may be given one more project with a ceiling of ACA of Rs. 100 crore for towns with Million plus population or being a State capital city and Rs. 50 crore for other Mission towns. Against the supplementary grant for 2008-09, one more project namely, BRTS Package III A and III B for Jaipur city has been approved by Central Sanctioning and Monitoring Committee (CSMC) at the meeting held on 14-01-09.